Trey is an Asheville native who grew up exploring the back roads and scenic byways of Western North Carolina. In his younger days, he spent a great deal of time “Jeeping” the rugged mountain terrain in WNC. He loves driving and hiking in the mountains, and he wants to share that love with those who come to see what this area has to offer. Trey is a writer and teacher who hosts weekly meditation group meetings. By day, he works as an event planner. By night, he drives for Uber and Lyft. 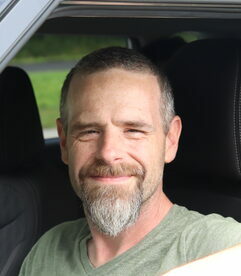 Trey has driven over 1,700 rides and growing and has an average rider rating of 4.94 stars. Here is a glimpse of some of the rider feedback Trey has received: "Grateful for the safe trip and nice conversation! "; "Great service"'; "Best Uber"; "Non-conventional in the best way! I saw more of my town than I expected"; "Very easy going!" To learn more, please visit TreyCarland.com. Josh is a 27 year old full time student, private chauffeur, and Uber/Lyft driver. 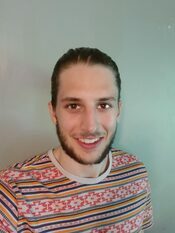 Josh's passions include meditation, yoga, movement, lifting weights, hiking, camping, cooking, reading, learning, spending time with loved ones, self-exploration, and all things conducive to human optimization. Upon finishing his Bachelor's degree in Health and Wellness promotion, Josh has aspirations of starting his own health coaching company and working with clients individually in order to help them realize their fullest potential. Josh is also a light-hearted jokester who truly enjoys the diverse topics of conversation he gets to engage in with his passengers. With well over 2,000 rides under his belt, Josh has an average rider rating of 4.95 stars. Here is just a glance at the rider compliments Josh has received: "Kind, nice, good conversationalist. Safe driver, friendly. Hope we can ride again. "; "Polite and nice"; "Great driver. Very nice ride. "; "Joshua is awesome! "; "The best Uber EVER!" "Based on my experience, I recommend this tour highly and will gladly attend again. Trey was just lovely and exuded such warmth and kindness. He offers a safe, light space for anyone in his presence. The group seemed as if I knew them well before meeting them, and there was a massive exchange of beautiful energy amongst the whole group. Although the retreat was mostly silent, there has never been so much said and felt amongst a group of “strangers”. Through this tour, I have found friendship, peace, and well being all in one place. To anyone looking for a soul family, this is your tour! " - Amal A. "I was flying in from LA to spend a memorable mother daughter weekend. Neither my daughter or I have to Asheville but had heard great things. We wanted to explore the beautiful nature, yoga, massage and take in a little of the city. I contacted Trey from Zen Mountain Tours. He personalized our itinerary and provided our transportation. There is some much to see and experience in Asheville. Without Trey, it would have been exhausting and overwhelming rather than the peaceful and exhilarating vacation that it was. The meditation was new to us and the meditation driving was amazing! I hope to incorporate mediation into my daily routine and hopefully my daughter will as well! Learned so much! With much gratitude." - Lori S.